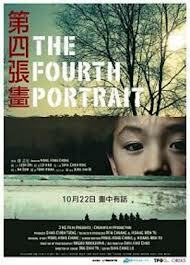 The Fourth Portrait tells the story of Xiang, a young boy whose father dies at the start of the film, and it seems that no one realises that he has been left on his own. It is only when the school janitor discovers this that his mother, who he hasn’t seen in a long time, is found and Xiang goes to live with her. The film seemed to move quickly through different perspectives, and I became confused at times about whose story is being told and which plotlines were most important. The pieces did come together to tell a whole story, but it was not a satisfying experience. Perhaps it was just that it was a sad tale of a child who has slipped through the cracks and is having to find ways to fend for himself. Maybe I expected a happy ending. Or maybe it was just that the film did not inspire enough empathy for the characters, and so I didn’t care.